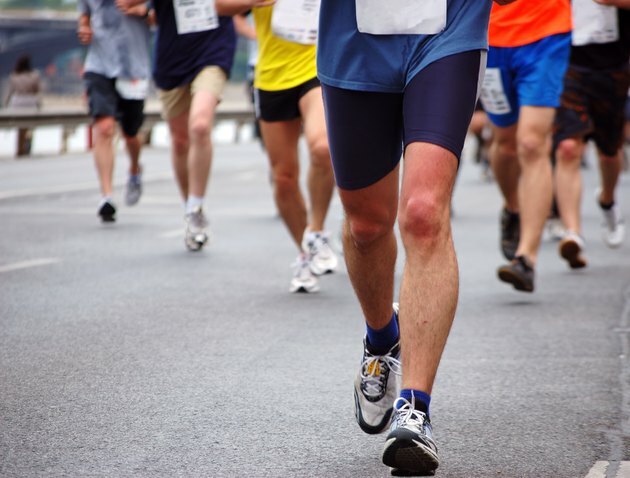 Running a half-marathon is quite an accomplishment; one that requires discipline, dedication and rigorous training. Providing your body with the proper fuel is essential for you to perform your best on race day. The foods you choose to eat on race day is very important, but your diet in the days before your race can also impact your run. 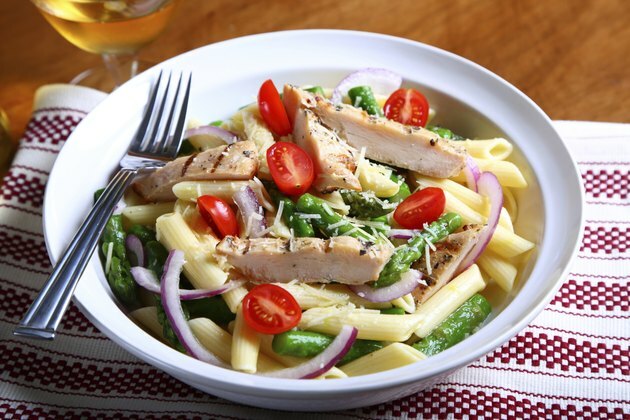 The days prior to running a half-marathon are no time to limit your calorie or carbohydrate intake. The meal you consume the morning of the race will not be enough to provide you with sufficient energy, so you will need to use some stored energy. Your body can store about 2,000 calories from carbohydrate in the form of glycogen, which is enough to get you through the 13.1 miles of the race. To build up your glycogen stores for race day, bump up your calorie and carbohydrate intake the week prior to the marathon. Your goal should be to consume 55 to 60 percent of your calories from carbohydrate, or 3 to 5 grams per pound of body weight. During the days leading up to your race, focus on including plenty of complex carbohydrates in your diet. Foods such as whole-grain breads, cereals, potatoes, pasta, rice and legumes are good sources of complex carbohydrates. 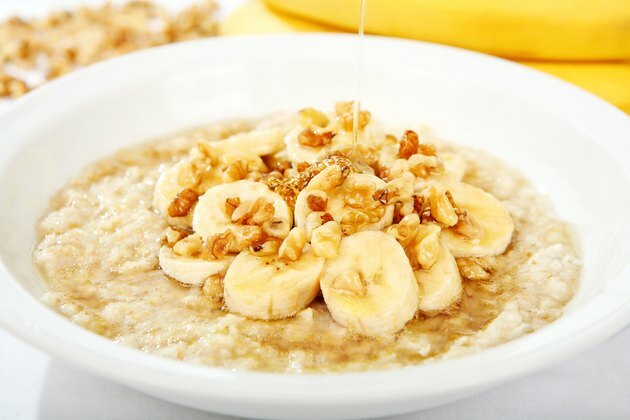 For breakfast, consider oatmeal sprinkled with fruit and nuts or an English muffin topped with peanut butter and a sliced banana. For lunch and dinner, try a shredded beef burrito served with rice and beans, pasta tossed with grilled chicken and roasted veggies, or chicken and veggies stir-fry served on top of steamed rice. Include snacks throughout the day such as yogurt topped with fruit and granola, crackers and cheese, or half of a sandwich. Your breakfast on the day of the half-marathon should be high in carbohydrate, moderate in protein and relatively low in fat and fiber to prevent gastrointestinal distress during the run. Running on a full stomach can be uncomfortable, so plan to eat breakfast two to four hours before the start of your race. 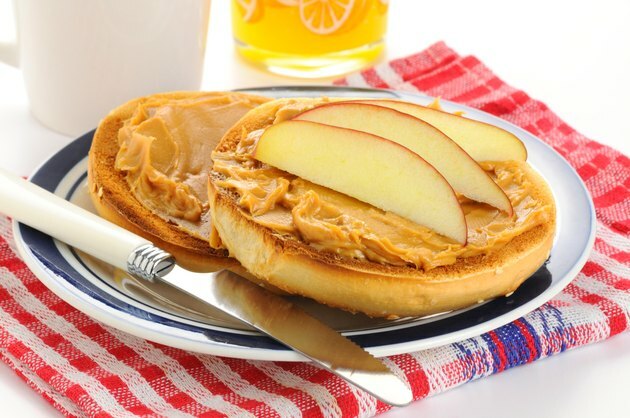 Ideas for a pre-race breakfast are a bagel with peanut butter and honey, raisin toast with a cooked egg and juice, cereal and milk topped with fresh fruit, or pancakes drizzled with low-fat yogurt and fruit. 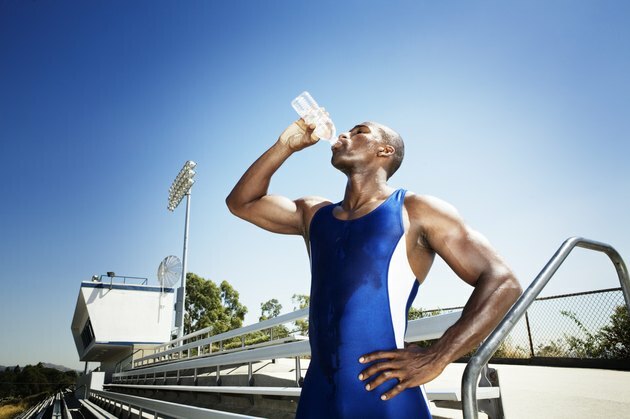 Four hours prior to the race, drink 2 to 3 milliliters of water or sports drink per pound of body weight. In the days leading up to your half-marathon, do not try any new foods for the first time. This is no time to run the risk of stomach problems related to a new food. If you choose to consume sports drinks or bars right before the race, avoid fructose products, as they can cause diarrhea. At all times, stay adequately hydrated.